30 Day Reading Challenge - Day Two. A book you've read more than three times. 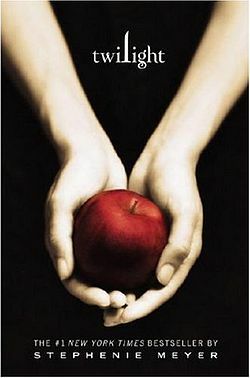 As embarrassed as I am to admit it, Twilight is the only book I have read more than 3 times. I was 15 and impressionable, I couldn't get enough of Edward and Bella's relationship. Unfortunately now I have so many books I want to read, it's difficult to find the time to re-read beloved books. TFIOS is one of those books I will keep going back to I think, it's too good for words.